I’ve previously discussed the role of dietary lignans in the reduction of breast cancer risk and improvement in breast cancer survival, based on studies that showed that women with breast cancer who ate the most lignans appeared to live longer (Flaxseeds & Breast Cancer Survival: Epidemiological Evidence and Flaxseeds & Breast Cancer Survival: Clinical Evidence). However, lignans are found throughout the plant kingdom―in seeds, whole grains, vegetables, fruits, berries―so, how do we know lignans aren’t merely a marker for the intake of unrefined plant foods? For example, those who eat lots of plants―vegetarians―have about eight times the lignan intake compared to omnivores. In a petri dish, lignans have been shown to both have direct anticancer growth activity against human breast cancer cells and to prevent cancer cell migration. But it wasn’t until 2005 that it was put to the test in people. Researchers from the University of Toronto conducted a randomized double-blind placebo-controlled clinical trial (as seen in my video, Can Flax Seeds Help Prevent Breast Cancer?) of flaxseeds, the world’s most concentrated source of lignans, in breast cancer patients. The researchers found that flax appears to have the potential to reduce human breast tumor growth in just a matter of weeks. 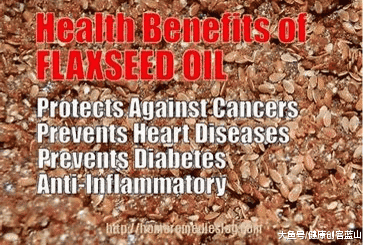 Therefore, I started recommending ground flax seeds to breast cancer patients. Can lignans also help prevent breast cancer in the first place? High lignan intake is associated with reduced breast cancer risk, but again lignan intake may just be saying an indicator of high plant food intake in general. So, researchers from the University of Kansas gave women at high risk for breast cancer a teaspoon of ground flaxseeds a day for a year, and found on average a drop in precancerous changes in the breast. The latest review summarizes the association between flax and decreased risk of breast cancer, better mental health, and lower mortality among breast cancer patients. The only other study of flax and brain health I’m aware of was an exploration of 100 commonly used drugs and supplements on cognition in older adults, which found that flax is one of the few things that appears to help. How else may flaxseeds aid in preventing and treating breast cancer? There’s an inflammatory molecule called interleukin-1, which may help tumors feed, grow, and invade. Our bodies therefore produce an interkeukin-1 receptor antagonist, binding to the IL-1 receptor and blocking the action of IL-1. The activity of this protective inhibitor can be boosted with the drug tamoxifen―or by eating flax seed. In premenopausal women, the proinflammatory profile of interleukin-1 can be counteracted by a dietary addition of a few spoonfuls of ground flax. One month of flax may be able to increase the anti-inflammatory inhibitor levels by over 50 percent, better even than the drug. Yes, having one’s ovaries removed may reduce breast cancer risk as much as 60 percent, but at the cost of severe side effects. The drug tamoxifen may reduce the incidence of breast cancer by more than 40 percent, but may induce other severe side effects such as uterine cancer and blood clots. That’s why less toxic (even safe!) breast cancer preventive strategies, such as dietary modifications, need to be developed. These lignan phytoestrogens in flaxseeds may be one successful route given the data showing reduced breast cancer risk and improved overall survival. Lignans are not a magic bullet to prevent breast cancer―we can’t just sprinkle some flax on our bacon cheeseburger―but as a part of a healthy diet and life-style, they might help to reduce breast cancer risk in the general population. Flaxseeds may also help fight hormone-mediated cancers in men. See Flaxseed vs. Prostate Cancer and Was It the Flaxseed, Fat Restriction, or Both?